At Mount Pleasant Baptist Church we are endeavoring to develop Christians spiritually, economically, intellectually, physically, and socially through the Word of God. I firmly believe in the Great Commission: “Go ye therefore, and teach all nations, baptizing them in the name of the Father, and of the Son and of the Holy Ghost,” (Matthew 28:19). I believe my innovative approach to saving the lost and edifying the believer will reach many throughout the world for Christ. I am committed to helping people from all walks of life experience the unconditional love and unending hope found only in a personal relationship with Jesus Christ. My mission is not only to preach but teach you the Word of God in spirit and in truth. You will find Mount Pleasant Baptist Church to be a warm and friendly place where you can grow in your faith and discover more of God’s purpose and plan for your life. We have witnessed lives being changed, relationships being restored, and the neighboring community transformed by the power of God through our ministry. I truly believe with the proper resources and the wisdom of God, this ministry will give witness to the manifested presence of God as He moves by his Spirit from heart to heart and change the lives of people through salvation, healing, and deliverance. I look forward to sharing, teaching, and celebrating God’s Word with you. 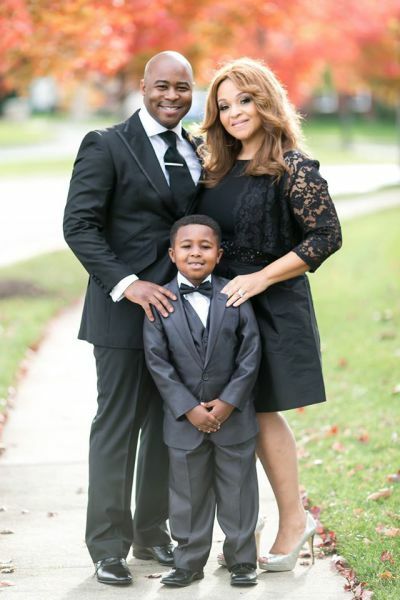 Pastor Carlisle, First Lady Vardreane Carlisle, and their son Carver.